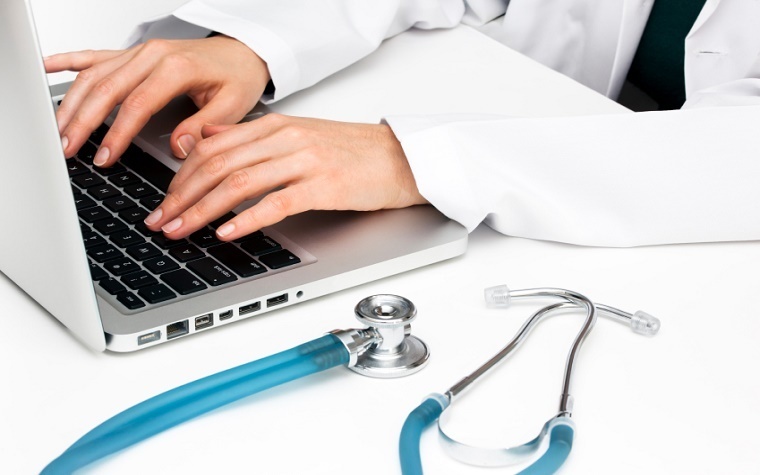 Electronic health records have become standard for primary care. Electronic health records are becoming the norm in primary care. Thanks to communication between providers and the federal government, glitches are being fixed and concerns are being heard. A recent review of the federal electronic health record (EHR) incentive program was done by Brett Meeks, health counsel for the Senate Committee on Health, Education, Labor and Pensions (HELP). Many primary care providers participated in a related panel discussion at the Brookings Institution. "No, we don't think it is working very well," Meeks said. "We think stage one of meaningful use was very good at getting physicians and hospitals to adopt EHRs and health IT in general, but stage two and stage three we see as very troublesome." Meeks called the program "well intended." "We have to determine whether we are going to continue to penalize people for not checking boxes that are arbitrary in their practice," he said. Meeks cited a mandate from stage two of the program that required five percent of the nation's physicians to allow their patients the opportunity to see their health information, as well as to download and transmit it. "The problem is it makes a physician liable for the actions of a patient," Meeks said. "You can't force a patient to go home and send a message if they don't want to." In response to complaints, the requirement was reduced to one patient per doctor -- but when the third stage commences, the mandate will increase to 30 percent or more. "If everyone is complaining about this, why are we raising the bar?" Meeks asked. Problems with the system have been acknowledged by Karen DeSalvo, the acting assistant secretary for health for the U.S. Department of Health and Human Services (HHS) and Andy Slavitt, acting administrator for the Centers for Medicare and Medicaid Services (CMS). "The EHR incentive programs were designed in the initial years to encourage the adoption of new technology and measure the benefits for patients," they said in a Jan. 19 blog post on the CMS website. "And while it helped us make progress, it has also created real concerns about placing too much of a burden on physicians and pulling their time away from caring for patients." Getting the EHR system in place on a national level and interoperability have also caused problems. "It can be done, but we may need additional pushes with legislation," Alice Borrelli, director of global health and workforce policy for Intel Corp., said. Want to get notified whenever we write about American Academy of Family Physicians ? Next time we write about American Academy of Family Physicians, we'll email you a link to the story. You may edit your settings or unsubscribe at any time.